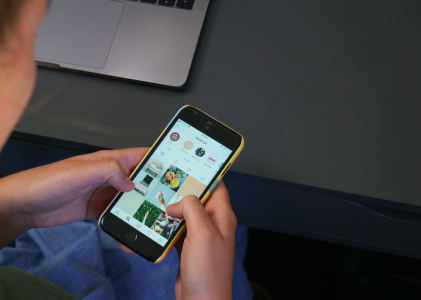 Could Target Canada have saved itself with social? 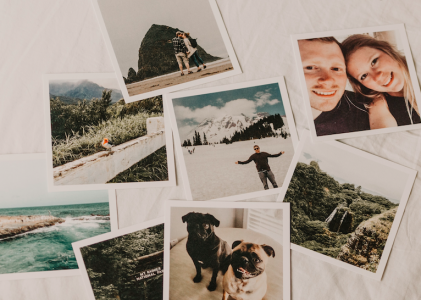 Recently, I did some research on Target pulling out of Canada for a DigiDay article and wanted to share some insights and social strategies that may have saved the retailer’s Canadian division. First, because I’m based in the United States, I didn’t have the opportunity to get first-hand experience so I set out to research online. 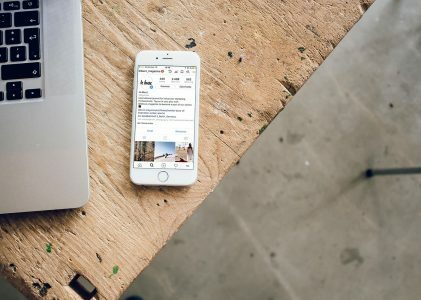 Rather than read the numerous articles written about the pull-out, I started with social media. There is no other resource that would represent the consumer nor give a more honest voice to their experience. After spending a bit of timing using Twitter’s advanced search to conduct word, location and date searches, I clearly started seeing numerous social signals that things weren’t going well for Target Canada. I know that many brands experience initial stumbles and mistakes immediately after launch so I change the date range to look a few months in. They had to make attempts to fix, right? Looking further down the timeline, I continued to see the same issues. 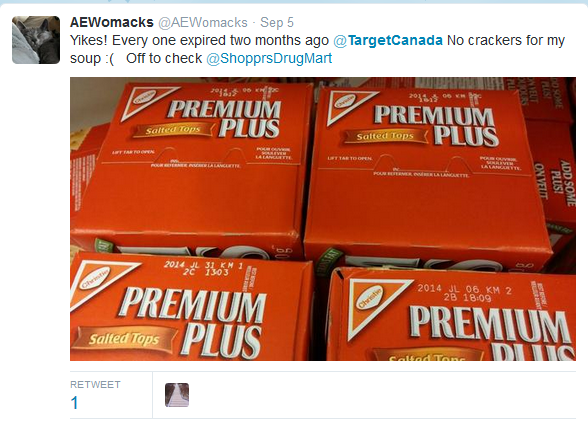 Did Target Canada really ignore these social signals? 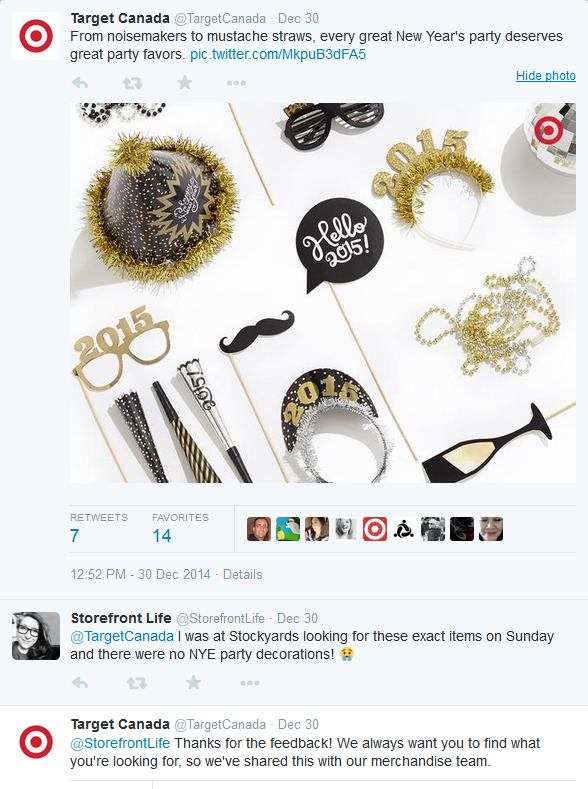 To be clear, the people managing social for Target Canada did their best to mitigate the concerns. One has to believe that these people provide the feedback to management. But at the end of the day, the evidence was out there. 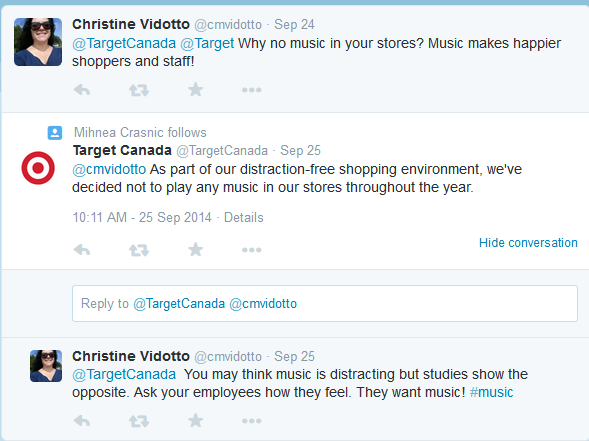 Target Canada failed to leverage social channels as customer feedback. The company either didn’t properly incorporate this data into their change management process or they failed in execution. Finally, Target Canada missed on the opportunity to push beyond the high-level branding and social awareness they were using on Twitter. Had I been managing social, I would have worked with local stores to do mini-events promoting make goods and apologies. Heck, they even could have tracked inventory of regional stores for promotional items that were running out. Embracing the reality and being transparent. That is how you manage social. 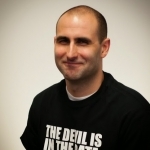 Chris Doran, VP of Marketing at Acquisio, is a product marketing professional with a strong passion for customer satisfaction. He joined the Acquisio team after 8 years at Microsoft, Online Division, where he worked in both the Sales and Search Business groups. He spends most of his free time with his son, Andrew, and fanatically follows the New Orleans Saints.